Is it time to give up on eradicating polio? An Indian girl is administered polio vaccine as part of the national polio immunization campaign at a hospital in Bhubaneswar, India, Jan. 7, 2007. 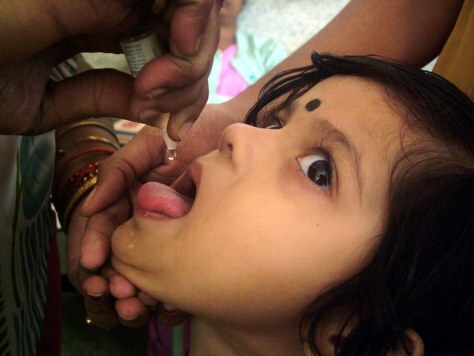 India came close to eliminating polio in 2004 after an intense nationwide vaccination campaign but the disease resurfaced in 2006 with 583 cases detected in impoverished Uttar Pradesh state.